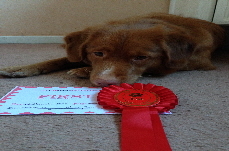 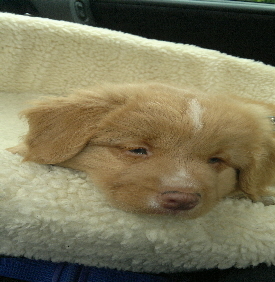 Breeze was born on the 16th April 2012 and is a Red & White Nova Scotia Duck Tolling Retriever. 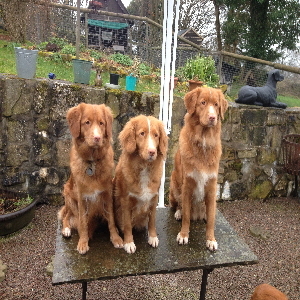 Breeze with her mum and one of her sisters. 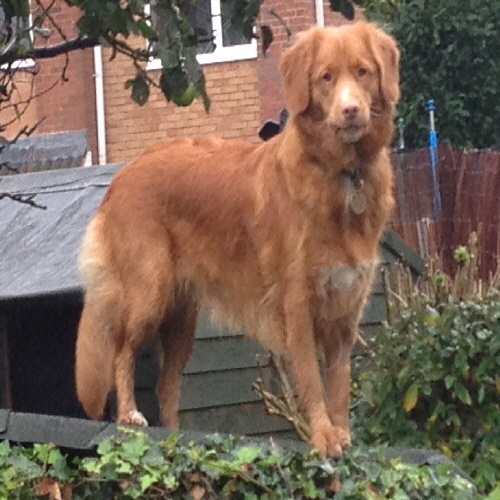 Breeze off for a walk with Dave to get some early habituation training. 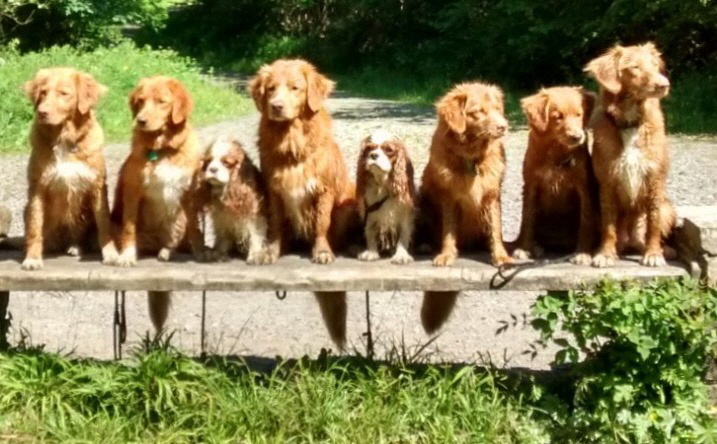 Breeze, third from right and Gem end right.